It’s no secret Singaporeans love food with a passion. Or how that passion turns even more fervent during festive seasons. Last Chinese New Year’s F&B sales in Singapore saw a 5 % increase from the previous year – ringing in the tills at a whopping S$726 million. But even as Chinese New Year presents huge opportunities for F&B small and midsize enterprises (SMEs) in Singapore, the converse is also true. It's no wonder then, that many F&B SMEs in Singapore share a love-hate relationship with the festive season. 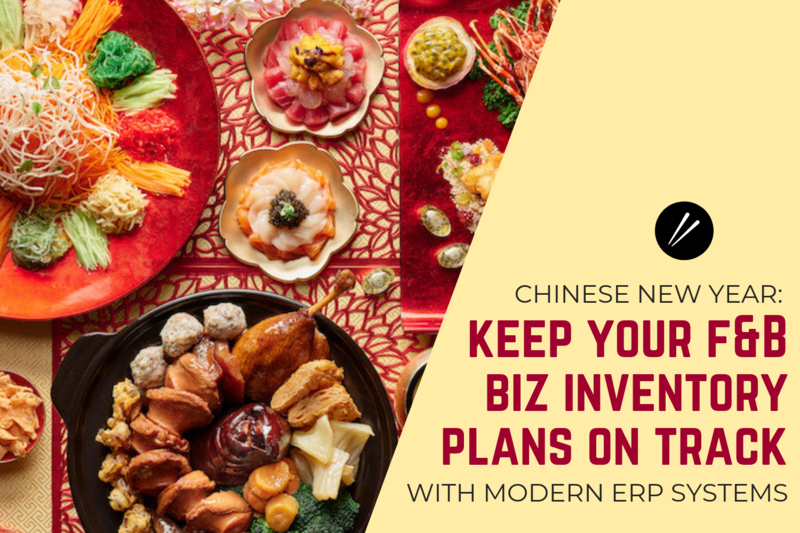 So how can you ensure your F&B business joins the successful ranks during busy seasons like Chinese New Year? A recent food and technology publication by The SME Series featured several highly successful homegrown F&B brands, like The Soup Spoon, Huber's Butchery, and more. They invested (and are still investing) in their technology and people. "With the push towards a higher degree of automation, the jobs in food manufacturing have changed, many from manual and laborious tasks to less strenuous human complements to technology." Because we’re an enterprise resource planning (ERP) consultancy, it wouldn’t be appropriate for us to share tips on improving employee management. Instead, here are several ways you can improve your F&B inventory management and reporting, by using best practices made possible by modern ERP systems. Production times are notoriously longer during Chinese New Year, thanks to labour shortages. There are also the annual surges in orders before and after the holiday season (e.g. order backlog) that need to be managed effectively. With so many moving parts involved throughout production, success lies in staying on top of your production processes throughout this busy period. Get precise, real-time views of where your production runs stand, and available capacity for machines, labour etc. If you’ve answered no to one or more of the above, you could do better with a system that gives you better visibility across your production cycles. Here's a very basic illustration of how it might work. Suppose there’s an unexpected shortage. With an ERP system, you have multi-level defined BOMs (sales, assembly, production etc.) that allow you to quickly make substitutions for raw inputs, semi-finished products etc. Built-in functionalities like routings also enable you to easily re-calculate routing dates to reflect your route stage line’s status and more. 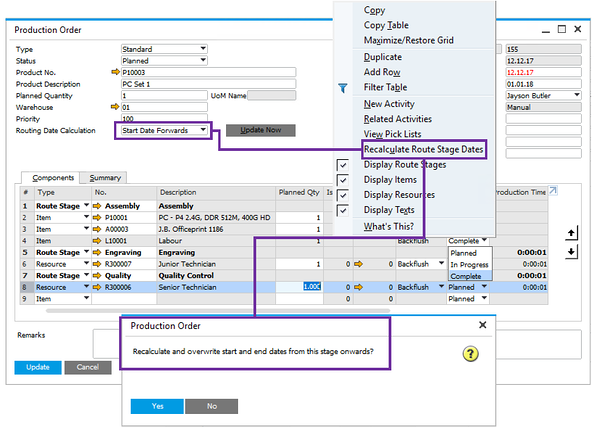 You can get these and other production-related functionalities in established ERP systems like SAP Business One, Oracle-NetSuite, or Microsoft Dynamics 365 Business Central. 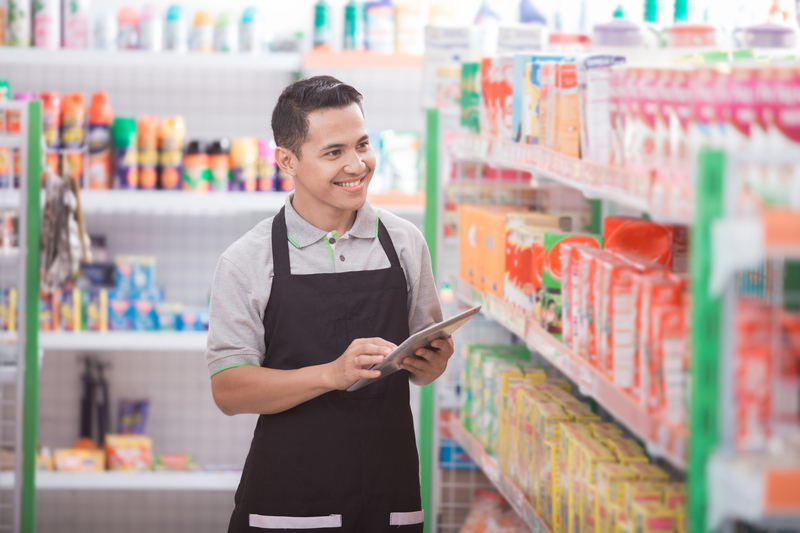 If inventory management’s one of your top worries during Chinese New Year, you’re not alone. One Singapore Productivity Centre study showed that inventory management issues are among the top concerns of Singapore F&B businesses, ranking second to long customer waiting times. Striking that fine balance between having enough inventory to meet orders vs. tying up capital in inventory that doesn’t move isn’t easy. This requires having robust systems and processes in place. Let’s use a typical SKU as an example of how order prioritisation can be done easily within an ERP system. Priority is given on a chronological basis i.e. today’s demand is a higher priority than next week’s demand. On top of that, the system will consider which demand type should be fulfilled first (the same applies to supply sources). It’ll also consider the order’s current state in the process – like warehouse activities, sales or assembly statuses etc. You can either manually pre-configure these order priorities in your system, or in the case of Microsoft Dynamics 365 Business Central, do so with Cortana Intelligence, its built-in artificial intelligence (AI). Business Central’s inventory management features can predict stock-outs months in advance, helping you find that sweet spot between wastage and stock-out which keeps your business profitable and efficient. Your stock levels can be updated automatically too. This helps to streamline and automate your inventory management of perishables and other items. In addition, you can access your inventory data on a mobile device from anywhere, which can be very useful when stocking up. Whether you’re a small local dealer or a large global supplier, Chinese New Year presents unique challenges for managing delivery times and logistics costs – especially if you’ve partners in China. LEARN HOW WE HELPED HERITAGE BRAND OLD CHANG KEE BOOST THEIR LOGISTICS PRODUCTIVITY BY 50% USING MICROSOFT DYNAMICS ERP. CLICK HERE TO READ THE CASE STUDY NOW. Herein lies the CNY problem: shipping, trucking etc. delays are often beyond your control. But customers don't care what happens at your end; they only want to see their orders arrive on time. Large corporate customers may even impose penalties on your business for not meeting their expectations during this peak season. What successful F&B businesses do differently from their peers is they focus on logistical aspects they can control — and do so very well. 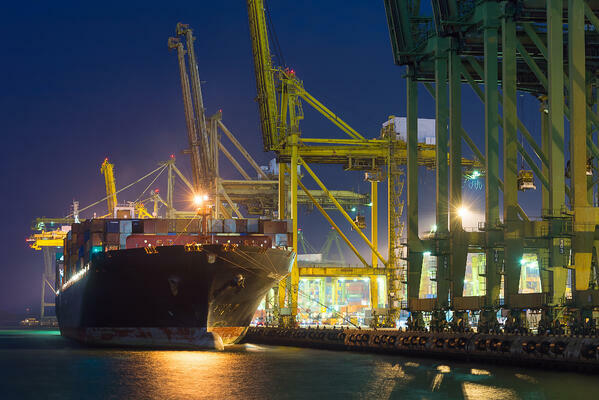 With an ERP system in place, you can perform basic inbound and outbound logistics management actions to complement your inventory and financials management. 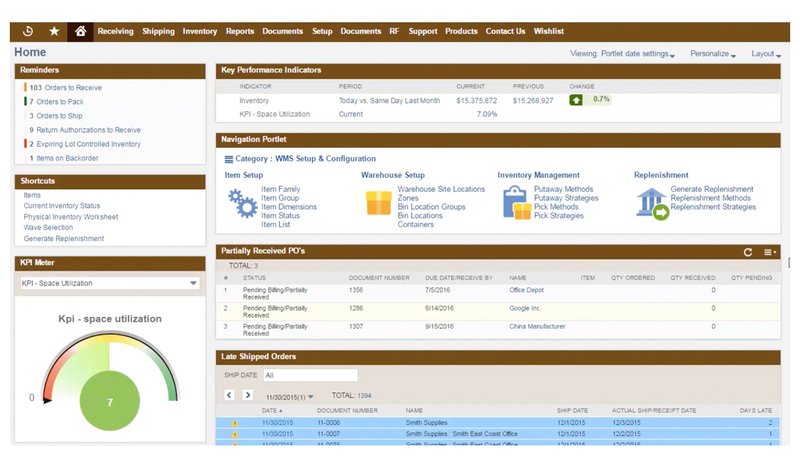 Actions like expediting outstanding orders, container management, and scheduling specific receipt dates. Or ensuring a smooth progression from your production line / warehouse to your customers, with automated material flows, quality checks, and more. Let's use Oracle-NetSuite as an example. Once your order has been entered and approved (regardless of whether it went through a complex workflow or not), your shipper will be automatically notified. From there, you can head directly to fulfillment. Alternatively, you could also choose a pick, pack and ship process based on pre-defined preferred picking strategies. In short, successful F&B businesses understand that effectively controlling inventory, fulfillment, and shipping costs are key to navigating through demanding peak seasons. By using built-in best practices found in modern ERP systems, you too can optimally manage your resources while minimising the overall total cost of operations.